My kids told me they didn’t like banana bread. But since the first time I made this particular recipe for banana bread that includes cinnamon, they ask me to make this almost every day! 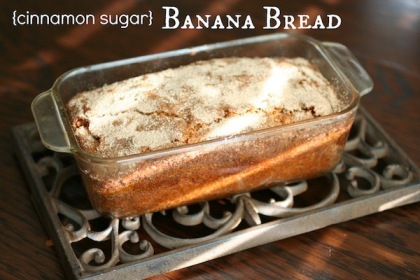 This Cinnamon Sugar Banana Bread is easy to make, and it tastes amazing. I have found this banana bread recipe freezes really well, so it’s great to have on hand for dropping off as a gift or having available to take to comfort a family at a funeral home or in a hospital waiting room. To increase the nutrient content, I use 100% whole wheat flour, fresh milled, via my Whispermill Grain Mill. In saying that, let me add that it was not the least bit heavy or dense. In fact, it was perfect! 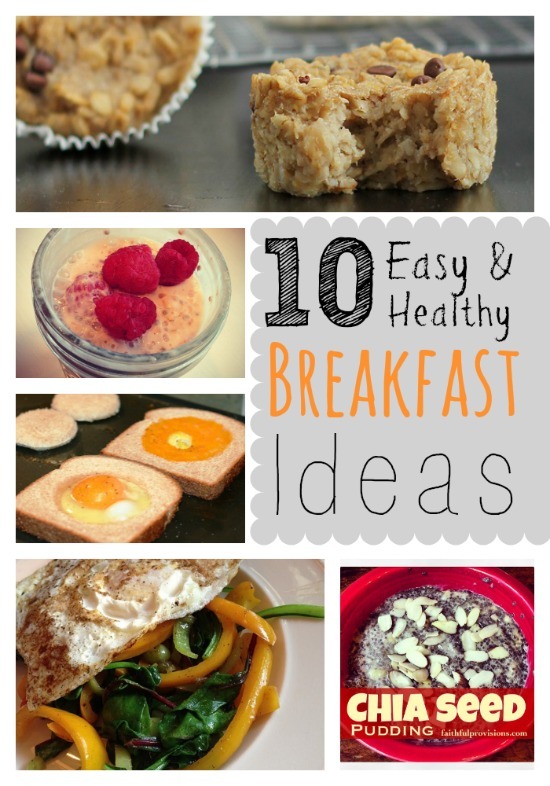 This is a wholesome and yummy breakfast treat to serve with fresh fruit and a smoothie. Preheat oven to 350. Spray a loaf pan. Mix bananas, butter, sugar, egg, and vanilla together. Add baking soda and salt on top of the banana mixture. Then gently stir in flour. Do not over-mix. In a small dish, mix together the ¼ cup sugar and 3 teaspoons cinnamon. Add ½ of the batter to the loaf pan and then sprinkle more than half of the cinnamon-sugar mixture all over the batter in the pan. Add the rest of the batter, and then sprinkle the leftover cinnamon-sugar on top. Bake for 30-40 minutes, or until a wooden toothpick comes out clean.